A consultation is strongly recommended BEFORE purchasing this product. Our products & services are designed to be used as part of a whole health program which often requires a comprehensive health assessment, health history, testing and treatment plan. The treatment plan is a customized program based on your individual health needs & goals designed to the get results you want. 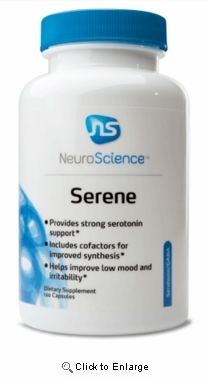 Provides GABA support to help manage stress and anxiousness and promote healthy sleep. 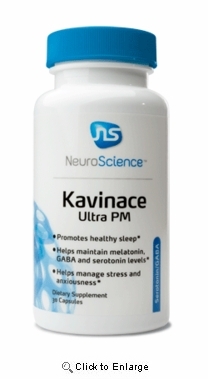 Kavinace by NeuroScience™ combines two powerful ingredients that together effectively address symptoms of stress, anxiousness, and sleep issues. This formula contains the GABA derivative 4-amino-3-phenylbutyric acid, which easily crosses the blood-brain barrier and acts as a GABAB agonist. 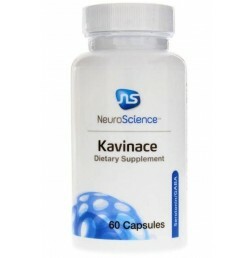 (1) Kavinace also contains taurine, which functions as a calming amino acid. Taurine is a GABAA agonist and may increase GABA levels by increasing synthesis, preventing breakdown, and blocking reuptake of GABA. (2-4) Kavinace also includes vitamin B6, an important cofactor for the synthesis of GABA.